While he may retain the support of his superiors within the club, it’s safe to assume that Alan Pardew has lost the backing of a massive proportion of Newcastle’s fans. The Evening Chronicle’s ‘Big Toon Survey’, hints that while the fans haven’t reached the point of mutiny just yet (Pardew retains the support of just over 56% of those surveyed), he has a lot of work to do this summer if he is to win The Toon Army over for a second time. Notwithstanding the fact that repeating the success of last season’s fifth-place finish represented an enormous challenge, not even the most pessimistic onlooker expected Newcastle to be embroiled in a relegation battle this time around – and yet, somehow, they were. Without dwelling on the shambolic and inexcusable home defeats to Sunderland and Liverpool, it would be wrong to say that the vast majority of Newcastle’s performances in their other 36 league games were anything other than stagnant, disjointed and lacklustre. There was never any discernible game plan, the players often looked lost and they were totally bereft of confidence and energy. 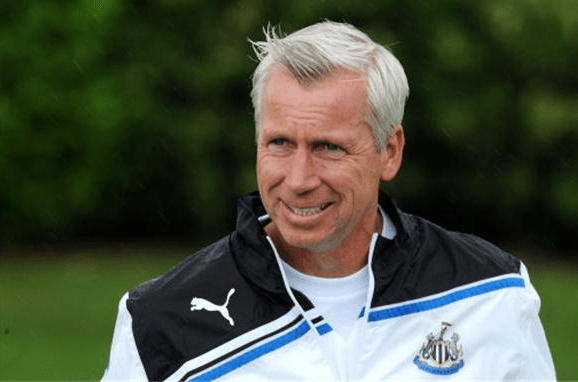 Essentially, that all boils down to one thing – that Pardew is extremely lucky to still be in a job and one would hope that he appreciates the fact that he has been given another chance to put things right. While sticking with Pardew is commendable in one way, there would have been very little uproar on Tyneside if Mike Ashley had indeed sent him packing once our Premier League status had been secured after the QPR game. However, with David Moyes succeeding Alex Ferguson as Manchester United manager, there has been a lot of talk recently about the relationship between stability and success but unfortunately people seem to be confused by the correlation between the two things. The Mark Robins goal that allegedly saved Ferguson’s job prior to their 1990 FA Cup win is often cited as the turning point in his managerial career; it represents a mythical ‘Sliding Doors’ moment when fortune smiled on Manchester United and they went on to reap massive rewards from sticking with Ferguson despite unrest in the stands and in the boardroom. Somehow, though, a lot of people have forgotten that that is not the norm; it is not a tried and trusted recipe, it is an aberration, a one-off and something that will never be repeated again. Success breeds stability – it is not the other way around. Yes, Ferguson was initially successful because he stayed in his job for a relatively long time (the 1989-90 campaign that he finished as FA Cup winner was his fourth at Old Trafford) but that completely ignores the fact that he subsequently stayed in the job for another 23 years precisely because he was successful. The Newcastle board mercilessly dispensed with Chris Hughton because it was felt that a more experienced manager was needed to take the club onto the next level and despite initial misgivings from the Tyneside faithful, Pardew overcame a very difficult start to seemingly do just that. However, this season’s pitiful performance has undone all that good work and Newcastle find themselves at a crossroads once again. This time around, however, Derek Llambias is extolling the virtues of patience and persistence just when the fans are eager for him to pull the trigger and to get a new man in. The relatively recent sackings of both Harry Redknapp and Nigel Adkins at Tottenham and Southampton respectively were criticised at the time for being overly harsh but now, with the benefit of hindsight, we can see that each one represented a bold and shrewd move by a brave and ambitious owner. The decisions have been vindicated because we have witnessed the positive effect that both Andre Villas Boas and Mauricio Pochettino have had on their teams’ playing styles by virtue of the tactical refinement that they have introduced. The Toon Army would dearly love Llambias to spring a similar surprise but in the wake of the end-of-season talks held after the Arsenal match, it looks extremely unlikely. Many supporters clearly feel that Pardew has taken the side are far as he can and with last season having gone as badly as it did, he really needs to pull out all the stops to avoid a revolt by the time the new season comes around – we don’t want to hear any more negative whining or to witness any more heartless or clueless displays. While we can all dream, nobody really expects us to qualify for the Champions League or to win a trophy. What we do expect, however, is a manager who will not shy away from his responsibilities; a man who will do his very best for the club and who will not hide behind lame excuses. Newcastle’s fans (who have been labelled overly-demanding, unrealistic and vicious in recent times) have been remarkably restrained despite some of this season’s horrors and while previous managers have been hounded out for less, even those who feel that Pardew won’t turn things around are willing to give him another chance and there will be no witch hunt. The patience will be in short supply. If Pardew is to have any relieve in pressure, we would need to have a good start of the season. And to have that, you need signings, a good pre-season, a decent set of fixtures, some tactics (hopefully) and a bit of luck.